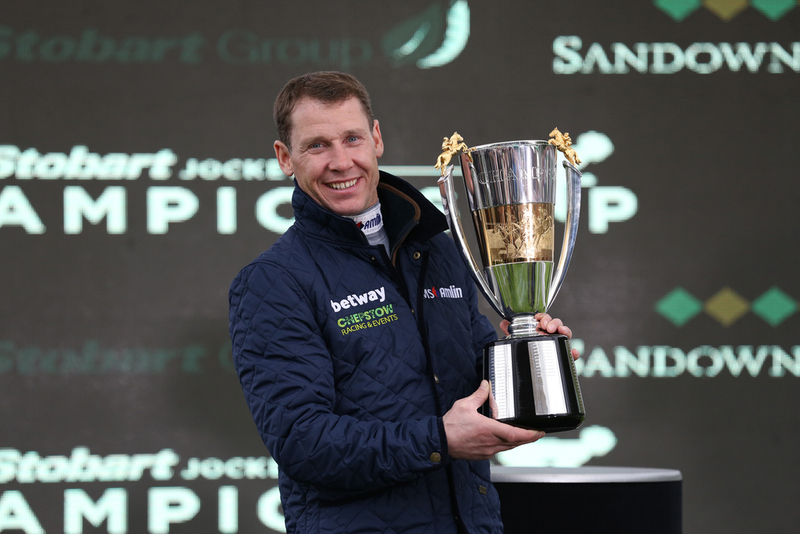 Champion Jockey Richard Johnson will miss with his rides at Newcastle on Tuesday after missing his two remaining rides on the card yesterday at Fontwell yesterday after taking a heavy fall. (Credit At The Races) His agent Dave Roberts said: “Richard is very sore. The experienced and talented jockey was unseated at the start of the Maiden Hurdle race when his horse Umndeni was scared by the movement of opposition horse Bid Deal who veered left right in front of him causing Johnson's ride to veer right and leave the jockey in pain on the floor. The Phillip Hobbs trained horse was 1/2 odds on favourite for the contest and for punters was a very disappointing spectacle as the race was already under starters orders so there was no money back for anyone who backed the horse. The race Johnson crashed out early in was full of drama with the first three horses to come home first were huge prices. My Destiny at 66/1, second place Carrick Rocks at 40/1 who was done in a photo finish and third place Crossley Tender at 100/1. If you hd the exacta on the Tote it payed out £2,533. With Johnson sitting himself out of his last two rides of the day through the injury he picked up from the fall, there was added pain when his intended ride Night Of Sin went on to win nicely with replacement jockey Harry Cobden landing the contest. (Credit At The Races) Johnson said: “I’m not too bad, just sore really, got a bit of a kick when I was unseated at the start. “I’m hoping to ride tomorrow, but realistically I’ll just have to see how I am in the morning.